Authorities are investigating the death of a Fort Riley soldier. According to the Army, a 1st Infantry Division soldier was found dead on Tuesday of this week in Manhattan. Spc. 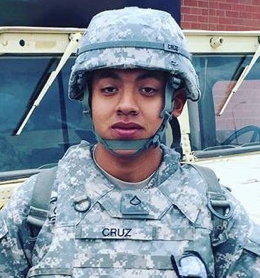 Phillip Cruz-Medellin, a satellite communication systems operator-maintainer, was assigned to the 267th Signal Company, Special Troops Battalion, 1st Infantry Division Sustainment Brigade.